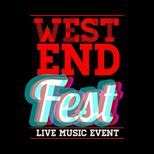 WestEndFest is back for its first concert of 2016, this time in conjunction with The MadTrust! on 15th May at The Actors Church in Covent Garden at 7:30 pm ! Performers confirmed so far include: Jonny Labey, Sam Mackay, Emma Kingston, Liam Doyle, Sabrina Aloueche, Aaron Sidwell, Lauren Varnham, Sarah French, Peach Coyne, Cassie Compton, Kieran Brown, Ian Stroughair, Matthew Wycliffe, Anton Stephans, Sarah O'Connor, Georgina Hagen, Katie, Paine, Ambra Casserotti, Oliver Savile, Rebecca Trehearn, Ceili O'Connor and Mitch Miller. The show was founded four years ago by Sabrina Aloueche and Parnell Page, and has since become a hugely popular bi-annual celebration combining dance, comedy, songs and raising lots of money for charity.It incorporates themes each time, including "Mis-cast" where singers from the West End stage attempted to deliver first-class performances in roles they would never normally be cast in, and "Songs you love - but shouldn't"- the performers' guilty pleasures. This time around the comperes of the event Ian Stroughair and Kieran Brown will be presenting the theme "Icons - your own spin", with a cast tackling their favourite songs from their most adored icons in their own individual way. Most of these songs that have been sung by the millions worldwide are being sung in ways you've never seen before - plus a HAMILTON medley! All profits will go The Make a Difference Trust. Originally founded as West End Cares in 1990 and later becoming Theatrecares, The Make A Difference Trust raises funds for HIV and AIDS Projects that raise awareness and provide care, support and education in the UK and Sub-Saharan Africa. There are homemade cupcakes being baked for the day, lots of treats, WestEndFest merchandise on sale, and an auction that takes place on stage hosted by WestEndWilma at the interval.